Look, I get it. Congregations want younger people. A church that has no young people may have to shut its doors in a generation. But that doesn't mean I like seeing the blurbs in the denomination's employment opportunities section stating explicitly that a particular congregation wants a pastor who can "attract young families." 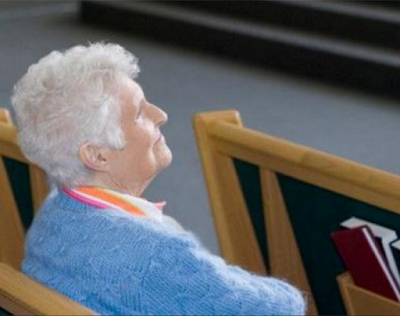 Most older people also like seeing younger people in the church. But let's not cast our seniors off in the process. It was often their vision and hard work that built the community of faith into something substantial, and it's even more often their gifts that keep it going in its present form. So I think they deserve more respect than we often give them. And quite frankly, a church advertising that it wants a pastor who can attract young people is no less offensive than advertising that it wants more white people or heterosexuals or rich people. We have learned too well the lesson that homogeneity and youth are keys to church growth. But I've met people who attend mega-churches, and they don't seem to have a monopoly on spiritual maturity, deep faith, or Christian love. If anything, people from small, struggling congregations seem more likely than their large-church counterparts to demonstrate those things—if for no other reason than that their gifts are more critically needed for the good of the community. So let's rid ourselves of the notion that only young people matter and that huge churches are by definition healthier than small ones. Certainly churches in transition need to think about how to attract people of all sorts, and it's the rare church that needs to shrink in size. But if a congregation truly wants to be Christ's beloved community, it probably needs to start by finding ways of expressing that need that don't throw those who are already a part of it under the bus.